Diaper changes, feedings, naps… keeping tabs on your newborn’s round-the-clock activities can feel like a stressful, full time job. Is he eating enough? Sleeping enough? Peeing enough? (Bet you didn’t think you’d be this excited about dirty diapers.) 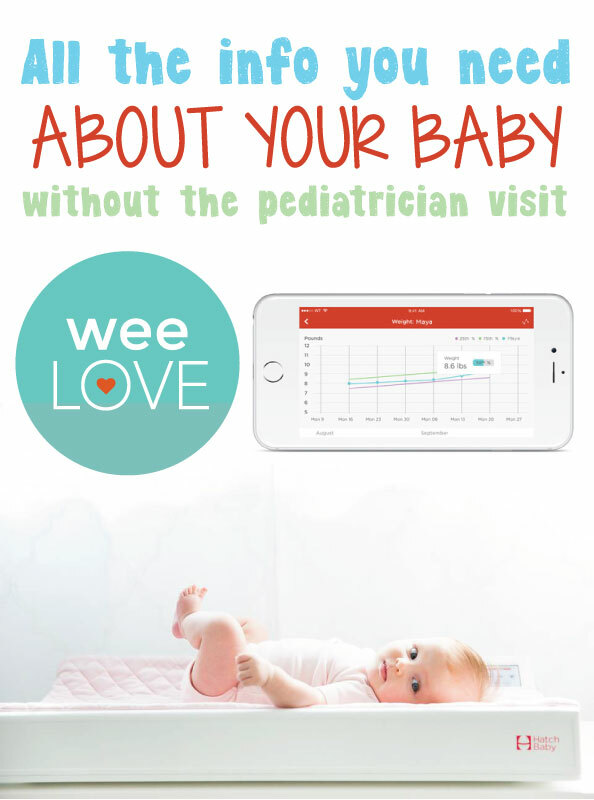 Instead of anxiously awaiting the next pediatrician’s appointment, get the 411 on your kiddo whenever you want with this high-tech nursery essential. The new Smart Changing Pad from Hatch quickly and easily tracks your tot’s growth during every diaper change and syncs it to a free iPhone or Android app. Record weight gain, feeding amounts, diapers, and sleep patterns. You can even compare your baby’s growth percentile to worldwide (WHO) data and other Hatch babies. Accounts can be shared across multiple devices so parents and caregivers are always connected. This BPA and phthalate-free Smart Changing Pad fits standard changing pad tables and is made with machine-washable polyester microfiber and ABS plastic. Thanks to Hatch, you can take diaper duty up a notch, and your new parent anxiety level down a few. Previous story Introducing… our all new weeLove.